Antidepressants are some of the most common medications that people take. Based on a report by the Centers for Disease Control and Prevention, 10.7 percent of Americans take this type of medication. This is a great cause for concern not only because it means that more people are suffering from depression, but also because antidepressants are known for their adverse side effects and high cost. To reduce the need for conventional antidepressants, researchers are now focused on finding alternative treatments such as medicinal plants, which are safe, effective, and cheap. Fortunately, there are many natural products with potential use as remedies for depression. These include the rat-tailed radish (Raphanus caudatus) whose antidepressant activity was determined by a team of Pakistani researchers from the University of Karachi and Hamdard University. 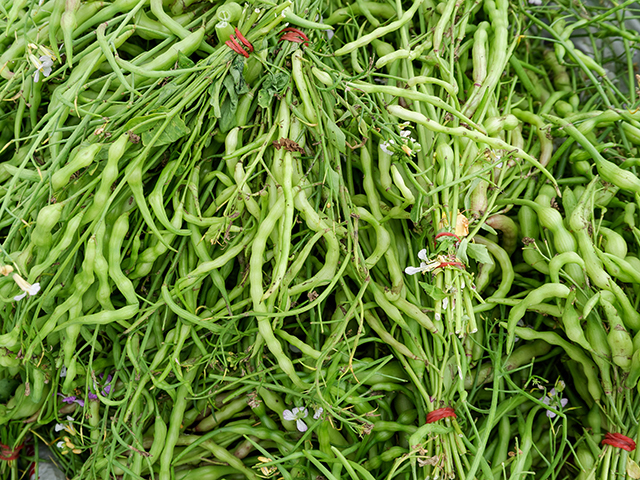 The rat-tailed radish is widely consumed in many Asian and European countries. But previous studies have shown that its applications go beyond the kitchen since it also has therapeutic use against cardiovascular diseases, diabetes, cancer, and gastric disorders. Moreover, the rat-tailed radish exhibits hepatoprotective and antioxidant properties. The observed beneficial properties of this plant are due to the presence of alkaloids, anthocyanins, and isothiocyanate compounds, which are also associated with neuro-pharmacological potential. Unfortunately, there are no prior studies that look at the antidepressant activity of rat-tailed radish. In this study, which was published in the African Journal of Traditional, Complementary and Alternative Medicines, the researchers collected ethanolic extracts from dried rat-tailed radish and administered varying doses (250, 500, and 1000 milligrams per kilogram) of these to male Swiss albino mice. Aside from this, there are two other groups serving as the negative and positive control, which were given a normal saline solution and the antidepressant Fluoxetine. Two tests were used to determine the effects of rat-tailed radish on depression-like behavior in mice, which often manifests as immobility. One of these is the forced swim test. As its name implies, this test involves forcing mice to swim in an open cylindrical container and observing if they would struggle or just float motionlessly. The other test used was the tail suspension test, which involves hanging the mice by their tails and observing for any signs of movement. Results of these two tests showed that all three doses of rat-tailed radish caused significant improvements in depression-like behavior, as exhibited by reduced immobility time. Moreover, the extent of the plant’s antidepressant activity was comparable to Fluoxetine. “Raphanus sativus is a rich source of flavonoids, alkaloids, anthocynins and isothiocyanate compounds. Hence, it may be safely suggested that antidepressant-like activity of Raphanus caudatus in the current investigation could be due to presence of these bioactive constituents,” said the authors of the study. For more articles about natural remedies for mental health problems, visit BeatDepression.news.